Same color front and back. 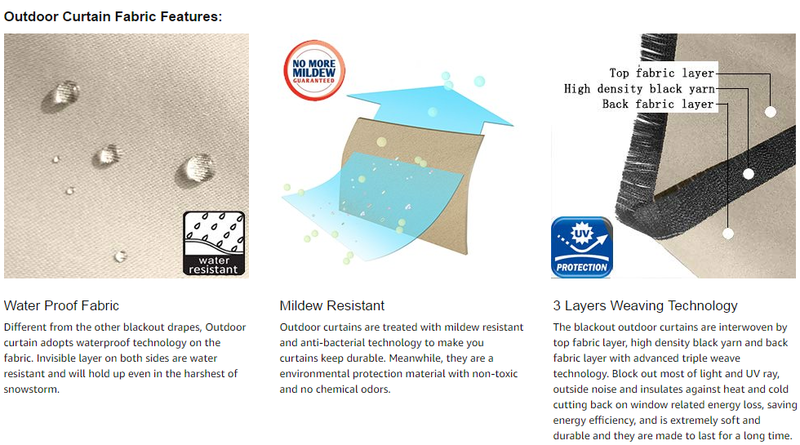 Light Control, UV ray protection, thermal insulation, mildew resistant. Grommet inner diameter 1.6 . Create an idyllic outdoor space and convert your balcony, patio or garden area into an outdoor room through the use of curtains. In more exposed spaces, source durable, weatherproof fabric which will offer shade and protection. 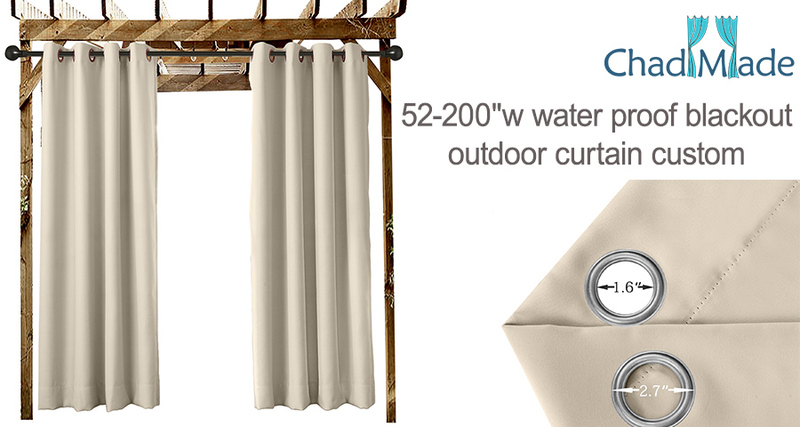 Outdoor curtains work best in warmer climates, offering shade and bug protection. These fabrics often don't need extra lining, since they're specifically constructed for these purposes. They defy mildew, moisture and fading. 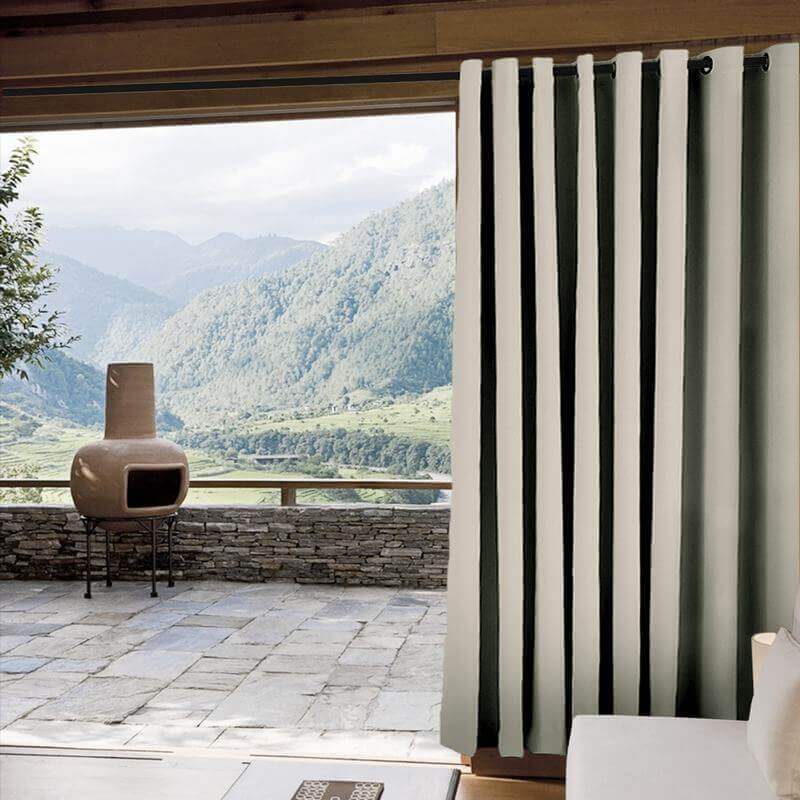 They waft light insects away, give privacy and a lovely summery air. Diaphanous drapes allow filtered sunlight in to create an intimate outdoor living space. They can be taken down for winter storage.If you do add a roof, circle it with curtains. 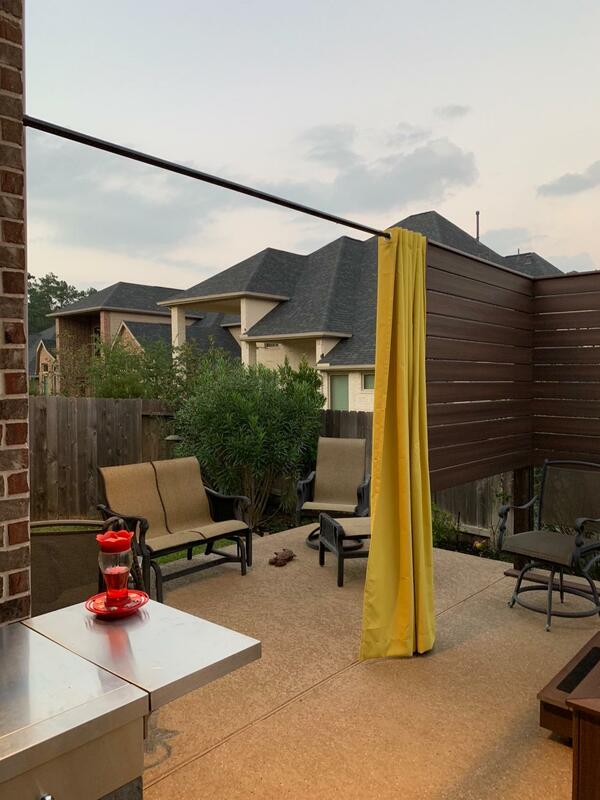 You can easily block a breeze when it becomes too chilly, plus, aesthetically, their addition will give your covered patio a tropical cabana feel. Great outdoor curtains. Delivered as promised. 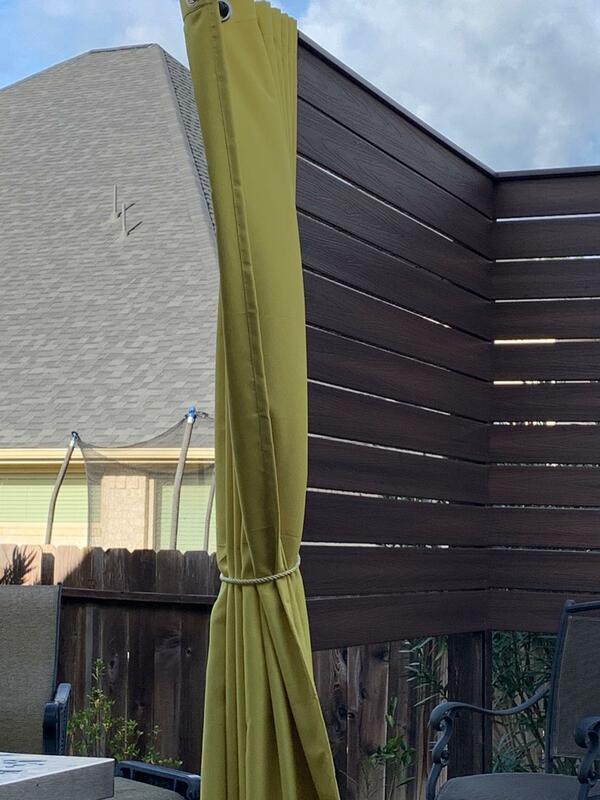 Love the color, nice thick material, it does keep the wind and rain out of the patio. I wanted curtains for my patio. I didn't want something sheer as I wanted them for privacy and insulation somewhat. I was worried that the fabric wouldn't be good. I was totally surprised and delighted. Material is great. 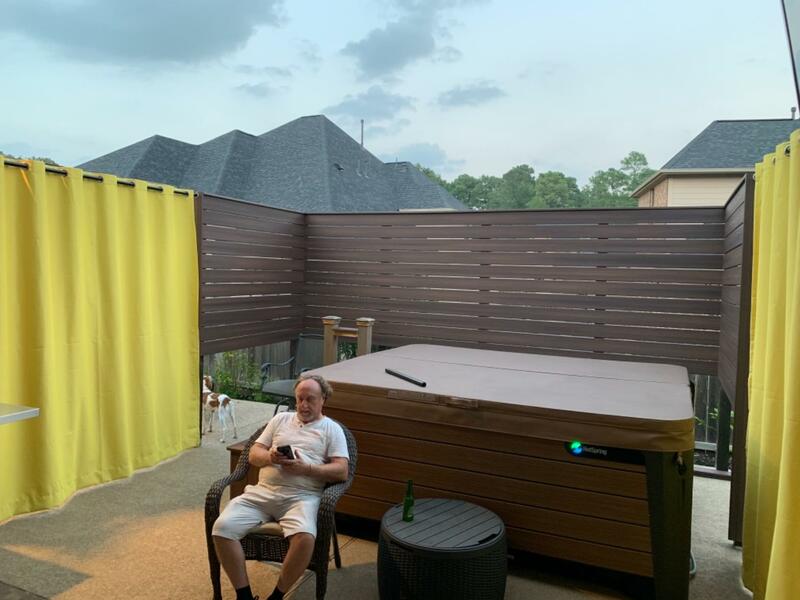 Hangs nicely and totally works for privacy and insulation. We have 4 of these curtains on our covered deck. They hold up very well thru rain, wind and snow. 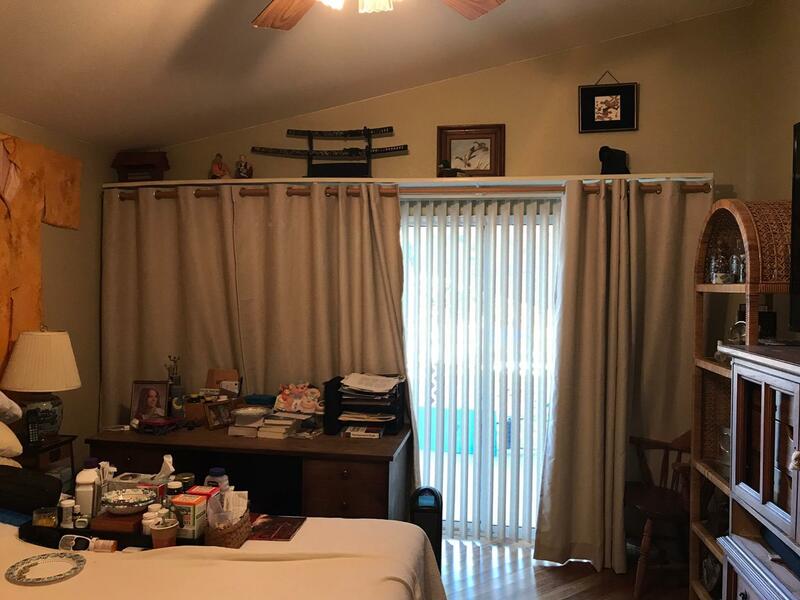 Compared to other drapes in local stores, I couldn’t be happier with the size and color selection, price and quality. Truly insulating for light and colder temperatures this week. Very well made. Good thick material. I have had it for summer, fall and now winter. It still looks great... Very happy! They arrived packaged nicely and every panel was the same size. Great quality. very good materal and quality. Took awhile to get this curtain, but was well worth the wait. I like the extra width. I originally gave them 2 stars because the color fades quick. Should not be used outside at all! Started fading in just a couple of weeks. I contacted the sellers and they reimbursed me 100% and said they were in the process of changing the fabric so I have changed my rating to 5 stars.